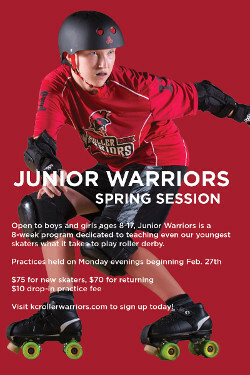 Wanna be a Junior Roller Warrior? Or in any case, do you know a kiddo age 8-17 that might be interested in learning the ropes from the superstars of KCRW? You’re in luck — the Kansas City Junior Roller Warriors are recruiting! Their Spring Session begins on February 27, and it’s open to boys and girls in the aforementioned age range. The cost is $75 for new skaters and $70 for returners. You must be signed up and paid by the Feb 27th start. 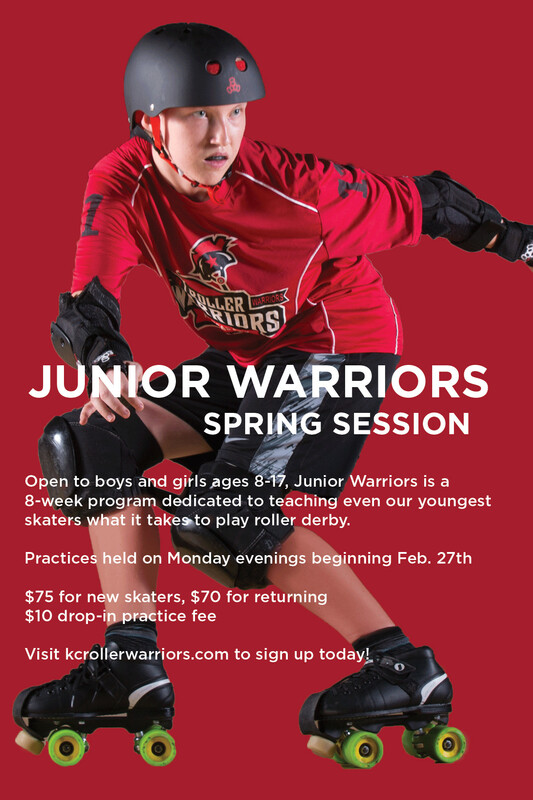 There are a handful of other details, so stop by their web site, check out the info, and contact them ASAP to get your kiddo signed up to be a Junior Roller Warrior!